 Visit Primera Med Spa's other websites. Primera Plastic Surgery is an AAAASF accredited facility. "The American Association for Accreditation of Ambulatory Surgery Facilities, Inc. was established in 1980 to develop an accreditation program to standardize and improve the quality of medical and surgical care in ambulatory surgery facilities while assuring the public of high standards for patient care and safety in an accredited facility." Dr. Edward J. Gross is a member of the American Academy of Facial Plastic and Reconstructive Surgery. "The American Academy of Facial Plastic and Reconstructive Surgery is the world's largest specialty association for facial plastic surgery. AAFPRS members not only have a precise focus in patient care but they also have had more comprehensive training in facial surgery than any other medical specialty." Dr. Gross is a member of the American Academy of Otolaryngology Head and Neck Surgery. "The AAO-HNS is the world's largest organization representing specialists who treat the ear, nose, throat, and related structures of the head and neck. The AAO-HNS Foundation works to advance the art, science, and ethical practice of otolaryngology-head and neck surgery through education, research, and lifelong learning." Dr. 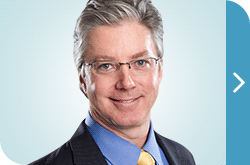 Gross is a diplomate of the American Board of Facial Plastic and Reconstructive Surgery. "The American Board of Facial Plastic and Reconstructive Surgery, Inc.,® was established in 1986 to improve the quality of medical and surgical treatment available to the public by examining for professional expertise in facial plastic and reconstructive surgery. To carry out this mission, the Board has established a mechanism for the education, qualification, training, review, and certification of surgeons specializing in facial plastic and reconstructive surgery." Dr. Gross is a diplomate of The American Board of Otolaryngology. "The ABOto ensures that its diplomates have met the ABOto's professional standards of training and knowledge in otolaryngology - head and neck surgery. Diplomates are required to have completed a minimum of five years of surgical residency training in otolaryngology after graduation from medical school, received approval of the training Program Director, and successfully completed a rigorous written and oral examination process administered by the ABOto." Dr. Gross is a member of the American Medical Association. "As the nation's health care system continues to evolve, the American Medical Association is dedicated to ensuring sustainable physician practices that result in better health outcomes for patients." Dr. Gross is a member of the American Society for Laser Medicine and Surgery. "The vision of the American Society for Laser Medicine and Surgery is to be the world's preeminent resource for biomedical laser and other energy based technologies research, education and clinical knowledge." Dr. Gross is a member of the Florida Medical Association. "Founded in 1874, the Florida Medical Association is a professional association dedicated to the service and assistance of Doctors of Medicine and Doctors of Osteopathic Medicine in Florida. The FMA represents more than 20,000 physicians on issues of legislation and regulatory affairs, medical economics and education, public health, and ethical and legal issues. We advocate for physicians and their patients to promote the public health, ensure the highest standards of medical practice, and to enhance the quality and availability of health care in the Sunshine State."